Update: Sound Transit CEO Peter Rogoff released a statement on the Mercer Island City Council’s votes to pursue a lawsuit and permitting moratoria seeking to block the upcoming start of construction of East Link light rail in the center lanes of I-90 across Lake Washington. 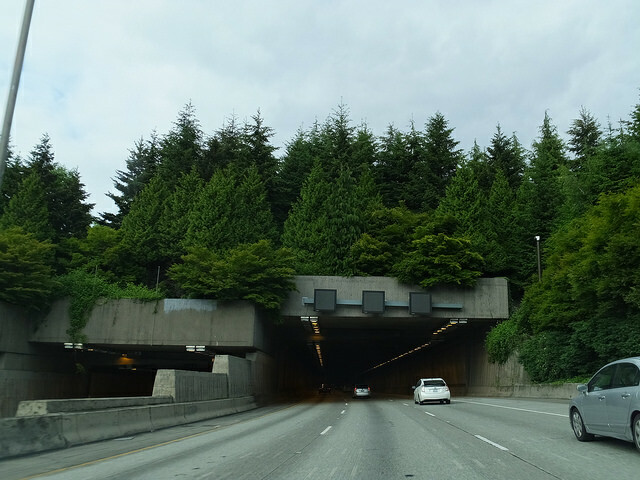 At a packed City Council meeting Monday evening, the City of Mercer Island announced its intention to sue Sound Transit and the Washington State Department of Transportation (WSDOT) over single-occupant vehicle (SOV) access to I-90’s HOV lanes. The lawsuit is in response to a February 1 letter from WSDOT and ST, in which the agencies correctly claim that it would violate federal law to permit SOVs to use federally-funded HOV lanes. Though much has been of Mercer Island’s more ridiculous requests, including special bus access for their residents and Islander-only parking, the immediate issue seems to be continued SOV access from Island Crest Way (ICW) to westbound I-90. Today, there are 3 ramps to/from ICW. The two reversible ramps to the I-90 express lanes will be permanently displaced by East Link, but there is also a westbound on-ramp that Mercer Island SOVs are currently entitled to use. Once two-way HOV lanes are in place across I-90 just 4 months from now, the westbound ICW ramp will feed into the new HOV lane, prohibiting SOV use under federal law. Without access from ICW, Islanders will go from four SOV ramps to three, with the remaining westbound ramps at East Mercer Way (1.4 miles from ICW), 76th Ave SE (3,500′ from ICW), and West Mercer Way (1.4 miles). According to Erica Barnett, who live-tweeted the meeting Monday night, the city’s motion will seek an initial 6-month moratorium on East Link permitting, seeking to bring the parties back to the negotiating table. The city also implied that further suits to delay the project are on the table, with CM Dan Grausz saying, “The public has been asking for lawsuits. You’re going to get them in spades.” To fund the additional $600,000 in expected legal fees for this first stage, Mayor Bruce Bassett told the crowd that the city would defer public projects on things like ballfields and public boat docks. Other councilmembers also solicited donations from the crowd, noting that they are tax deductible. We have requested comment from Sound Transit, and we will update/clarify this post tomorrow, when more information is expected to be released by the city. Erica’s tweets are after the jump. The decline of property values on Mercer Island would be an unalloyed good. Maybe a few people who still had souls and a sense of shame could afford to move there. Not likely. Self-importance is a hard habit to break. In the opposition to light rail, there also appears to be quite a bit of simmering racism and anti-poor attitudes among quite a few Mercer Island residents. The decline of property values on the Eastside in general would be an unalloyed good as well. Where’s anybody getting the idea that light rail has ever sent anybody’s property values any direction but up? Name me any other investment that’ll materialize a bigger goldmine in number of years ’til Train One! More likely Islanders will be our next wave of pathetic refugees begging to be rescued in their cars trapped on I-5! While they watch LINK screaming by overhead. That’s why Olympia is hiring savage fascist Hungarian border guards to keep these people from destroying our culture. And sending us fleeing toward Oroville, dam and all. Since they’re used to an island life, we’re also negotiating with the Australian prime minister to float them over to Naru. By Australian law if they come on a boat, they have to go there. Yes of course Mark. We’re speaking in hypotheticals here. Could somebody remind me again what possible grounds there are for this lawsuit? So, a potted history as I understand it. There’s a Memorandum of Agreement from 1976 governing access to I-90 with some vague language about Mercer Island. There’s a more meaningful update to the MoA from 2004 that specifies Mercer Island has to be protected from loss of mobility. Nothing in either is specific. But there’s some correspondence from 2005 where various parties, including Sound Transit, suggest that might mean MI access to the outer HOV lanes until they are converted to HOT lanes. There’s a WSDOT letter from the following year suggesting the same thing. Subject to lots of caveats and other priorities. Then there’s a FHWA letter from last year saying they won’t allow the MI access to the outer roadway. In their view, it’s simply illegal. MI believes this adds up to a breach of contract. The people who know this stuff (of which I am not one) do not view the claim as likely to succeed. For starters, one cannot be contractually bound to do something illegal. If the FHWA’s interpretation holds up, MI can’t get SOV access to the HOV lanes. Sound Transit and MI aren’t in dispute on this matter – it’s really between MI and WSDOT (and arguably FHWA, but MI didn’t sue FHWA). Maybe Mercer Island doesn’t expect to win in Court. But preventing WSDOT from moving cars to the outer lanes is the lever they have. Somehow, they want access to the new HOV lanes. Once Sound Transit takes control of the express lanes, MI leverage is reduced, even though Sound Transit doesn’t particularly care whether MI drivers can use the outer lanes. As a former Islander, this is pathetic and embarrassing. Before they do anything expensive with lawsuits, they should put it to a vote. As with everything from zoning to route changes, a small group of screamers shouldn’t control the destiny of the entire community. To a large extent, they already have. The city council (who represent the citizens on the island) voted in favor of the lawsuit. They might have been swayed by the screamers, but my guess is they were swayed by folks who calmly explained to them the negative impacts of the changes (e. g. traffic routed to streets without sidewalks, etc.). I’m sure the lawyers, meanwhile, told them that they have a very good shot at winning this thing — or more to the point, forcing ST to settle and give them something (e. g. money for a new ramp or more likely, street improvements). The lawsuits are meritless. Hopefully ST will countersue and make Mercer Island pay for every penny of delay, every penny of court costs, and punitive damages for filing frivolous lawsuits. It’s time for this sort of meritless litigation to be *punished*. The lawyers make money either way, of course; they’e happy to run worthless, meritless lawsuits if they get paid up front. TGC, same here as a former Islander. I’m ashamed and disgusted, but not surprised. If it wasn’t for the fact that a lot of good people rely on reliable transit service from the north end of MI, I would tell Sound Transit to just skip over the island completely. please toll all the lanes. then provide Island Crest access. Agree. That’s the best, most fair solution. Make the tolls distance-based, price the trips on & off island accordingly. A simple solution would be to toll toward the island only. That’s how the ferries work, and it’s so that people don’t get stuck on the island without money and can’t get off. So if they’re leaving the island they wouldn’t pay, which would be an automatic 50% discount on island round trips. That’s fair because they have half the impact on the bridges and traffic compared to Seattle-Eastside trips. Remove MI Station. No off-islanders will park there or shop in their business district. East Link construction could then proceed as scheduled. Also, remove the bus stop at Mercer Island P&R, as mitigation for eastside commuters who would be impacted by their buses having to get off the freeway on MI. That’s what happened with Georgetown when the D.C. Metro was built. And they’ve been trying to get a station ever since lol. Georgetown was left out of the design at its own request, so the line turned a shorter corner that Georgetown is outside of. Mercer Island is lucky to be on the way in the only feasible corridor, so it’s just a matter of building the station or not. As for removing the existing bus stop and P&R, I don’t know if there is any Georgetown equivalent, or what Georgetown’s bus service was/is. One could imagine extending the DC streetcar west to Georgetown as a substitute, since rerouting an underground subway curve would be very expensive, and I don’t see how a new metro like could productively go through Georgetown to anywhere, although I have only limited experience with DC so I may be wrong about that. The 30 buses go through Georgetown, and are woefully slow. There has been circulator service between Foggy Bottom Metro, Dupont Circle and Georgetown. Spiteful, but it doesn’t solve the lack of access problem from Island Crest to W I-90. You mean, the lack of SOV access, which, BTW, doesn’t exclude ambulences, as some MIers claimed tonight. Tell me that everything else the Listen2Mercer crowd is asking for isn’t spiteful. And yes, SOVs will still have access to W I-90, involving a turn and some lights, kinda like how the commoners access freeways. Getting rid of Mercer Island Station would get the buses out of your way, get the miscreant bus transferers out of your city center, and remove any reason for off-islanders to park on your exclusive island. It would also be a way for you to kick your transit-dependent neighbors off the island, which I’m guessing most of the Listen2Mercer folks want to see happen. Put the 550 to six minute headways and give them exclusive use of diamond lanes all the way to the DSTT. And to Bellevue in the other direction. Spiteful that Ballard doesn’t get any, but beats all to hell a herring boat in sixty foot seas. Hell, remove the ramps to I-90. Get a boat. If they don’t want to pay for something that other people use I suggest we get rid of any sort of state or federal funded access to the island. They’ll need to make their own way since that’s what they believe in anyway. Sound Transit doesn’t have the option to bypass Mercer Island. They are obliged to build what the voters approved. Despite the current noise, MI voted strongly for ST2, so they’ve been paying taxes for it since 2009. Hence the phrasing “defer indefinitely”, as happened to Federal Way TC Station, for different reasons, but is now scheduled to open in 2024. The line can open without MI Station. I have a better damn idea at this poiint: Build a damn new bridge or tunnel and screw Mercer Island out of light rail. Really, a direct line from Roanoke Point directly to Bellevue makes a lot of sense, avoids the pitfalls of Mercer Slough construction, and allows better options for the line to Issaquah. You’d need to make I-90 a lift bridge for the boat traffic to get around the new all-rail bridge. Works OK on I-5. People only get stuck there several hours each day. If Mercer Island has a problem, them remember this whole special rights thing was because the first bridge belonged to them and I-90 used its right of way. Make it theirs again so they have to pay for its upkeep. Glenn, I’m not sure we can’t get fast boats that’ll get under the a drawbridge without raising it. I really am serious about this transit mode regionwide. Because for all its expense and limitations, it’s the fastest right of way we can gain. Mercer Island could be a good fast experiment. For uses including Everett to Olympia, and also quickest built fastest route between the Tacoma Glass Museum and Point Defiance. While Tacoma LINK is working on its streetcar line along the BN tracks a few hundred feet on shore is under construction. I checked yesterday. As I have Mercer Island, many more times over the years. On foot and behind an artic steering wheel. Boat soon as I can rent one. Another bridge would cost billions of more dollars, require another decade to design and approve, and would throw ST2 and ST3 into disarray and probably require another vote to adjust the projects. East King could partly pay for it by canceling Issaquah Link and 405 BRT, but it would probably inevitably have to go back to the legislature for more tax authority. Building Link on predesigned lanes on an existing bridge is like putting it in the DSTT: much less expensive and faster than building a new bridge or tunnel. Mercer Island has no leadership. The island is filled with them. They’ll all be looking for something to do when they can’t get to their jobs when their HOV access is taken from them! Mercer Island could probably get a great deal at that point. I’m sure the city council assumes they will get back that 600K (and then some). Given the stakes involved, I would say that is a sure bet. If Mercer Island would take a settlement of say, 10 million, don’t you think ST would write the check tomorrow? If access is the issue, there’s an opportunity for an onramp at Island Crest Way and North Mercer. The westbound island crest way exit would have to be exit only to make room for the descending ramp, and North Mercer might have to become a one-way street. That plan sounds vaguely familiar. I say we toll each entrance and exit to the island $10 per standard length vehicle. They can afford it. How about we let them keep their HOV access if they pay for the I-5 lid downtown where it truly belongs. While it’s tempting to do that, it’s important to remember that not everybody living on the island is supporting these lawsuits and it’s not fair to punish the rest of the island for the ridiculousness of the city council. In that case, ST posts signs all over the island saying that they will drop the station if the city doesn’t drop the suit. Nothing gets a city council back to its sense than thousands of angry phone calls. ST can’t get into politicking and threats. That would be illegal beyond a minimum threshold. Mercer Islanders are ST taxpayers and are entitled to equal treatment for their taxes, regardless of whether they voted for it or what the city council says or how many lawsuits they file. Ignoring Mercer island would be unequal taxation, which is unconstitutional. But ST could make a gentle case for deferring the station indefinitely due to unexpected difficulties and local opposition. The issue is the voters/taxpayers oversee ST, not the other way around, so ST can’t threaten its owners. I think I know what’s really going on. Native tribes believed the island was inhabited by evil spirits. I think they’re still there compelling people to be evil. Ha! That would explain it. Why is it that if someone has an opposing argument that people start throwing mud on here? Let the courts figure out who is right and who isn’t. Stop throwing garbage and names at people. Makes the blog comments almost unreadable. If WSDOT and ST are correct, which I know they are, in stating the single occupants can’t use HOV lanes (although it’s a common sight, especially on on-ramps) and if Mercer Island is correct in their assumption of a 1976 agreement, then let the courts sort it out. Calling people names and trashing other peoples opinions and viewpoints is immature. Neutral reporting would help also. Mercer Island has no leverage regarding the HOT lane access. The law and agreements are not on their side. But as I said last week, I have no problem with some more temporary accommodation that avoids sending all those SOVs by the Park & Ride while route 550 is still running. I’m also fine with converting the ramp into an HOT lane in the medium or long term. The leverage Mercer Island may have is pulling permits (possibly illegal) or not approving other permits that are still needed. And then East Link opening gets delayed. The solution is to then defer Mercer Island Station, and get the rest of East Link open on schedule, using just WSDOT and ST ROW to lay tracks on the express lanes Mercer Island does not own. That’s not name-calling. That’s just how this game may end up. Look how Tukwila ended up with only one station, after fighting Sound Transit. The urban and business areas of Tukwila are going to pay the price forever for the intransigence of one past city council. That’s right, Southcenter is a closer comparison to Georgetown, being outside the curve that was shortened because Tukwila objected to surface trains on 99. Well this is a blog about transit, the idea of using HOV lanes for SOVs is in direct conflict with transit. That’s why the writing isn’t neutral on transit which would be required to be neutral on this issue. Neutral is a definition that changes based on what’s being discussed. I think it would be a bit odd to have posts here saying they aren’t sure if transit is worth it. I didn’t see mud slinging, but I can tell you that I personally don’t think this issue warrants hatred. I usually just tune out people who mud sling online anyways because the internet gives mentally unstable people in society a soapbox and anonymous soap boxes are even worse. Asking the courts to clarify whether the state is properly interpreting the requirements for HOV lanes might be reasonable. Threatening to use a series of lawsuits to hold up a regional project in order to gain bargaining power over that project is not. It appears the latter is what is being threatened here. It is great that we have an orderly legal system to solve conflicts. It is also disgusting and deplorable when powerful, wealthy people tilt our legal system to maintain their advantages in society. Some legal actions are not even designed to win cases but inflict pain and delay that gives one party leverage and that is what this appears to be. The comment from the City Council member that they will pursue “spades” of legal challenges is indicative that this is not about a particular legal issue but a tactic to use legal challenges to derail Sound Transit. The “Mercer Island first” rationale behind this approach is an affront to everyone in our region who does not live on Mercer Island or has a shred of concern about social equity. If calling a spade a spade is “throwing mud,” then let the mud fly. I think they’re trying to get the best possible deal they can. Call their bluff: no station on the island. Resources are limited. Any time and money spent on frivolous lawsuits is time and money not spent working on transit. The ramp in question is not just a ramp to the express lanes that SOV are “entitled to use” and boo hoo we want to keep using. It is TWO ramps, one to the express lanes and one to the regular lanes that is a left-hand entrance. Losing the first one, I say “oh well.” Losing the second is a huge blow. I am all for light rail and getting a decent public transit system to the east side, I’m sort of appalled I’ve lived here over 20 years and we are still just talking about it and not actually building it. But displacing all the cars that usually go directly from ICW to 90 west and sending them through the downtown core is a traffic nightmare. Suing ST and WSDOT is… not what I would do. But “oh, just drive around for several blocks” is not a good answer. Just come watch how many blocks are full of completely stopped cars by evening traffic getting on 90 east at ICW. Maybe that will change when there aren’t non-MI SOV drivers getting out of the express lanes at 78th and driving across downtown to get back on in the regular lanes, I don’t know. But when/if that happens for westbound traffic it could easily double the amount of time it takes people to get into Seattle and basically render most of the streets in downtown MI unusable for huge chunks of the day. HOT lanes. HOT lanes. HOT lanes. Those would allow SOVs to pay a toll to access the non-SOV lane, if it too is converted to an HOT lane. How many Mercer Islanders using the ICW ramp can’t afford to pay a toll? It wasn’t Sound Transit that designed the freeway to force this confrontation. From the beginning, the express lanes were planned for high-occupancy transit. The historical record is clear, if Mercer Island Reporter would ever report it. Sound Transit came along decades after the agreement that would allow special access to the express lanes until they got converted. The agreement said nothing about SOVs getting access to HOV lanes on the main freeway, ever. Another solution is for Mercer Island to reimburse the federal government for the new HOV lanes, and make them SOV lanes. I’d be totally fine with that. The train is all I care about. But the park & ride is also an issue on the table. If a special deal is cut to allow HOT lanes, I do hope the excellent bus transfer proposal is part of that deal. Allowing buses to transfer at Mercer Island Station is the best way to discourage off-islanders from filling the available parking. Whatever happens, delaying East Link is not an option. Construction has to occur on schedule, with or without building Mercer Island Station. The HOT political solution is probably viable with legislative action. Sadly, the Mercer Island City Council is not pursuing any legal political solutions at this time. I agree entirely that delay of East Link should not be on the table. What I’m just trying to point out is that it is not just access to HOV/HOT lanes people are complaining about. It is the plain old onramp that has absolutely nothing to do with high occupancy anything is going away because it’s a left hand entrance. The vast majority of MI-Seattle traffic uses that onramp. Saying it’s not a big deal to lose that is like suggesting that it’s no big deal to shut down the Mercer Street to I-5 onramps because you can just drive a few blocks to the next one. 2. Not everyone who drives on and off of the island is a Mercer Island resident. The federal government is the entity that won’t allow SOVs in HOV lanes. The state does not get to allow SOVs in HOV lanes. (The state could de-prioritize having the state patrol patrol those lanes, however.) The state can work with the federal government to convert the lanes to something else, but it might result in the federal government being reimbursed for a whole lot of money the federal government spent to build those lanes. I’m not sure, but HOT lanes may be a path to avoid that reimbursement. The center lane ramp at 77th SE will be closing along with the Island Crest Way flying ramps. While it would not be an immediate relief for Mercer Islanders, is it geometrically possible to do the following once East Link is open and functioning? Since buses will no longer be using the facility west of SE 80th (if even that far) at that time the westbound HOV roadway could be restricted to vehicles no higher than say ten feet beyond that point. That would allow large corporate vans to continue using the facility. Heading west on the south edge of the main lanes, the HOV separates slightly from the main lanes as it passes under the SE 80th over-crossing and begins to rise modestly. This would resemble what happens on I-5 south of 348th, but not be quite as great a separation. Simultaneously the Island Crest Way flying ramp would be undercut to stay deeper and not rise to main and express lane elevation as quickly as it does today. The station will lie between SE 77th and SE 80th, and is supposed to occupy the express lane roadway envelope if I’m reading the documents correctly. This implies that the portion of the express lane roadway west of SE 77th now occupied by the ramp to 77th could be used to forward the HOV lanes to the mini-lid at SE 76th at roughly five feet above the adjacent westbound main roadway. Between SE 80th and SE 76th, the Island Crest fly-under lane would rise to a left entrance merge with the remaining three lane roadway, after which the HOV lane would descend to main roadway level and rejoin it. I know this would not be cheap and certainly would be disruptive, but I believe that at a minimum the deepening of the Island Crest Way westbound fly-under could be dug at the same time the station is being constructed. Depending on the design of the upper level of the station it seems likely that the elevated ramp for the HOV lane might also be built during station construction as well. If construction of the elevated section for the HOV were completed some time before station completion, connection of the deepened Island Crest fly-under to the main lanes might even be made before the station is finished and opened. Certainly even in the worst of construction scheduling scenarios, it wouldn’t be more than a few months later. Obviously, all this would cost money, but it’s not unreasonable for SoundTransit to make a contribution since revenues are so great at this time. It is also essential that the design of the station upper level accommodates the elevated HOV segment if it is possible to fit it in. ST could delete the station and P&R and give Mercer Island 50% of it as mitigation money for whatever Mercer Island wants more than them, as long as it doesn’t disrupt East Link’s construction schedule. ST would then have surplus land which it could sell to the island or developers. People are angry because MI seems to want to slap at least another 6 month delay on a project already delayed years by lawsuits from angry rich people. It feels like MI folks want to punish everyone else waiting for this line to open to get their way and preserve the status quo. Perhaps MI residents don’t realize other cities are going through painful adjustments too like losing bus tunnel access or streets so congested by buses leaving that tunnel that we have to reprioritize the street grid. We’ve done our best to negotiate better outcomes, but you know what we didn’t do? Sue to stop the train line until we get what we want. We give a damn about our neighbourhoods in Bellevue and Redmond who need this line at least as much (if not more) than we do. Maybe MI residents should try a little empathy before they choose to punish neighboring towns when they don’t get their way. Oh, I understand why people are angry. As I said before, I’m APPALLED this is still being discussed and not built given it was being talked about before I moved to the area 23 years ago. I can’t go to city council meetings, so I did not realize it had gotten this bad. We plan to contact them and voice our opposition to a lawsuit, because seriously? Ugh. I can’t really apologize on behalf of the sane residents of MI, but we are out there. Personally, I have no empathy for MI residents. I spend 3 – 4 hours + per day commuting. How long does an MI resident spend on average commuting? I would like to know…? Is it more than that? 1) For years Mercer Island residents had special permission to use HOV lanes. This is going away. As you said, Boo Hoo. I really think no one has any sympathy for drivers in this situation. 2) Drivers are losing their regular ramp from Island Crest Way to I-90 westbound. This is a big deal. I can’t think of any situation like this, really. Has WSDOT ever done this? Have they ever just said “Sorry, that ramp is now HOV only — you have to use an entirely different ramp, about a mile away”. I can’t think of that ever happening, and I can see why they are pissed. I’m not saying I would sue, but I can understand why they did. If nothing is done, traffic will likely be worse for the area — an issue that folks discussed earlier this month. It may screw up the 550, which is an important consideration. Work can be done to improve the situation, but that really is the heart of the matter — how much work is necessary to fix that problem and is WSDOT (or ST) willing to pay for it. Just because people said some stupid things in a meeting, or the city is using an aggressive tactic to get their way doesn’t mean they don’t have a point. With the left exits from I-5 northbound just south of downtown, the HOV lane becomes GP for about a quarter mile. Obviously, entrances are different from exits, but has anyone looked into the effect on HOV travel times of having the HOV lane become GP for about a quarter mile after the entrance? Dunno about WSDOT but it happens ALL THE TIME in other parts of the country, so zero sympathy. Yes, as mentioned below the I-5 reversible exit to/from 9th and Pike was switched from SOV to HOV/transit only, making the Stewart ramp the only SOV access to downtown to and from the express lanes. So I don’t live on MI, but Emma makes several good points. To be clear, though the Westbound access to I-90 from Island Crest Way will not be eliminated will it? It’s just being converted to HOV only, right? The station will span between 77 Ave and 80th. Is assume the Westbound ramp to the express lanes from 77th Ave being removed, or also converted to HOV or bus only accessing the left side of the westbound freeway? If the issue is actually converting the Westbound IC Way ramp to HOV (because it currently doesn’t serve HOV lanes regardless of what agreement may or may not exist). I would like to know why that is necessary. If MI is insistent on maintaining the ramp with access for all drivers, perhaps an agreement could be made where the city will agree to pay for routing the HOV lanes to the south of where the IC Way ramp comes out of the ground within the I-90 ROW, so that the IC Way ramp goes directly to the general access lanes. It might mean extending the tunnel a bit to the west and would probably require removal of the 77 Ave SE exit. It might even be possible to keep both access points where the IC way ramp splits for access to HOV and access to SOV lanes. I think WSDOT would be fully willing to build something like this, but M.I. would need to put up some serious money. It shouldn’t be any sort of regional priority funded by PSRC or the Legislature, though. Better to keep the traffic nightmare on MI than let them flow unobstructed to the other side of the bridge and contribute to the traffic nightmare in the downtown core. Also, they aren’t losing THE ramp to I90W they are losing A ramp to I90W. Traffic nightmares are rarely solved by making it easier for more people to drive their SOVs. The ramp is already an SOV access ramp. To keep it that way wouldn’t be making it easier, but rather not making it harder.. I’m pretty sure Seattlites would have a similar gripe if WSDOT were to decide that the Mercer Street access to I-5 North should be converted to HOV only access. I’m not saying I agree with suing the state, and I’m not saying that I don’t support an emphasis on carpooling, but I do think the gripe is reasonable. Unfortunately MI “leadership” hasn’t done itself any favors by repeatedly referencing the special treatment they think they are entitled to. I think if they had framed their argument around the state implementing a new restriction on access to one of their most important entrance points to the freeway we would be having a more productive discussion on how to mitigate that impact. Converting the Mercer St access to I-5 to HOT or HOV might do a lot of good for Mercer St, and make it possible to serve that dense neighborhood with a fleet of buses more easily. Aside from tolling access to local streets (which MI can then reimburse residents), is there any solution to ensure non-MI traffic stays off the local streets? Just like anywhere else, armed checkpoints is the only way to keep out outsiders. But the elimination of the express lanes will already remove a lot of traffic that exits I-90 W on the island in order to enter the express lanes as SOVs. The simple way to significantly reduce outsiders parking on the island are (1) allow the bus transfer facility for I-90 express buses; and (2) have convenient pedestrian access between MI Station and the MI central business district. Sure, ban cars from local streets entirely, or disconnect the road network so that it’s impossible to drive on or off the island. That or gated checkpoints. All stupid ideas. Apparently the islanders are so rich that can waste $600k for basically nothing. Also they don’t bother about their reputation. I’m relatively new to the area, maybe they’ve lost it years ago? They’re paying for it out of other civic amenities. Also, I cannot roll my eyes hard enough at any MI resident who claims similarity to the Dakota Access pipeline. Honestly, we are not all like that here. Thank you for your comments. Would that there were more Islanders like you willing to make your case in non crazy ways. If you go to enough public meetings, you will hear some crazy stuff. Judging folks based on the comments that wackos make is unfair. My guess is someone (if not several people) made exactly the point you did earlier, which is not obvious. It is one thing to say you are losing your special access to the HOV lanes. Tough cookies. It is another thing to say that the only ramp connecting Island Crest Way (arguably the main road through town) to the freeway is no longer accessible by single occupancy drivers. That is (so far as I know) unprecedented, and I can understand why a lot of people are pissed. Island Crest Way isn’t losing SOV access to westbound I-5. SOVs simply have to slog through lights and make a turn before using the regular on-ramp. Just like most neighborhoods have to. The painful part is that that turn puts all the SOV traffic in front of the P&R, which is why I hope there is a legal political solution to allow SOVs to pass through the left-hand HOV lane, at least until route 550 is abolished. You could say that about any closure. Close off 45th NE to regular traffic, and you simply go to 50th. Close off 50th, and then you simply go to 65th. But no one is doing that. If they did, you would here similar complaints. Having a main road that isn’t a highway fly over a freeway and merge into it is what is mostly unprecedented. The mistake to allow this conundrum was done decades ago to kick the can far down the road. Somehow, USDOT went along with it. ST and WSDOT both wrote to USDOT to support the SOV access through the left-hand HOV lane. Mercer Island should be suing USDOT. Having a main road that isn’t a highway fly over a freeway and merge into it is what is mostly unprecedented. That’s a bit extreme. While it isn’t done often, it is done regularly. Mercer Street in Seattle is another local example. And it’s not a “fly-over” it’s a “fly-under” which makes possible the solution that Michael and I came up with pretty much simultaneously: zig the HOV to the left and elevate it five or so feet, extend the fly-under to past the “zig” and have the fly-under come up between them and merge into the leftmost general purpose lane. Mercer Island HOV’s could then enter the HOV lane after it rejoined the main lanes downstream from the merge. Sure they have, Ross–IIRC the I-5 express lane exit to 9th/Pike went from general purpose to HOV; this forced all SOV drivers to use Stewart for DT Seattle as Cherry/Columbia was already HOV. There was definitely grumbling but it happened anyway even though it eliminated ANY exit/entrance from the express lanes to the heart of downtown. If you needed to access the central or southern part of downtown, you had more than a few blocks of “packed” streets you needed to traverse to reach an on/off ramp after WSDOT made that change. This had a seriously negative effect on those who could typically take the express lanes (Northgate, Lake City Way, and south U District) — not saying at all that it wasn’t useful or necessary, particularly as it too was transit-driven for bus tunnel access, but it was definitely a removal of an existing SOV exit in favor of an HOV one. As angry as I am at this outrageous move, it’s clearly their last ditch effort for leverage to get what they want. What sort of counter leverage do we have over them? Can Seattle Police ticket every SOV Mercer Islander who is using the HOV lanes currently? Can ST threaten to delete the station? Can WSDOT threaten to tie up the on ramps in construction impacts for years? For all of Murray and Constantine’s talk about happy fuzzy regionalism it clearly breaks down when faced with unrefined privilege – I hope to see a robust response from them. They can’t win the lawsuit, not even a TRO. What they can get is a settlement that deals with side issues, and includes their promise to approve certain permits they haven’t approved. The permits, btw, are their actual leverage. Avoiding the need to seek those permits by deferring the station is ST’s leverage. ST could probably eminent-domain it and override the permits, because the state has designated Sound Transit as high-priority regional infrastructure. (Lower than the UW but higher than a city.) But ST is very reluctant to do so because having bad relationships with cities makes a lot of things harder. [ah] It’s time for ST to use eminent domain, override the permits, build the tracks, and defer the Mercer Island station until the government is willing to play ball. The Mercer Island station is in ST2, Ballard is not. However, I bet you could use the money saved to speed up the line to downtown Redmond, which is originally in ST2 and even on the same line. Given sub-area equity, no. Cost savings would go to East King. Given the East Link design is final, the cost savings of removing the MI station is negligible in the context of the overall capital plan. Any construction cost savings would be offset by engineering redesigns plus the whole public process of deviating from the ST2 plan. Most importantly, if MI is going to sue about SOV access, they are certainly going to sue if ST tries to take away their LRT station. I can’t imagine the ST Board taking the step to throw an entire city off the bus, so to speak. It probably wouldn’t cost much to put a split in the design to just build a stub platform interface now and defer the rest of the platform and station until later. Federal rules is one thing, but granting a continued exemption for SOV use is flat-out impractical. You can get away with not enforcing the HOV law in the center roadway since non-Island ingress/egress is strictly restricted. But it will be impossible to enforce the new HOV lanes west of the Island Crest ramp, which essentially turns them into functional GP lanes. That will do wonders for congestion and the reverse-peak routes ST and Metro have long sought to speed up. The current plan is for there to be no public buses between Mercer Island and Seattle after East Link opens. The main SOV impact on transit in the mean time is all the buses having to pass by the park & ride, slowing down most of the I-90 express buses before they even get back on the freeway. It is in transit’s interest to find a way to allow the SOVs access to the ICW westbound ramp until 2023. After that, it only matters to transit if Mercer Island allows the bus transfer facility. Good to hear from you, Sherwin! The City has argued that morning commuter traffic trying to reach westbound I-90 would be diverted from Island Crest Way onto narrower streets that lack sidewalks, centerlines and good visibility. The new access routes would also divert traffic through several school zones. So my guess is that either ST (or WSDOT) pays for a brand new ramp (to the general purpose lanes) or a lot of sidewalks and other road work. If all Mercer Island wanted was some sidewalks and a little road work, ST would have said yes already. ST is known for being able to do these sorts or projects, as you may have noticed along MLK. Asking for replacement of the SOV ramp or mitigation to surrounding streets that will bear more traffic because of the closure is a reasonable ask in my opinion. I have no heartburn over Mercer Island losing access to the HOV lanes though. Not when the SOV ramp was a special favor from the past. There is no obligaton to mitigate it in the future. The “SOV ramp” was NOT “a special favor from the past”. Continued access to the reversible lanes when they were made HOV only was the “special favor from the past”. The fly-under was from the very building of the lidded freeway designed to be the primary access for Island Crest Way users to both the reversible and general purpose lanes. There IS a solution (see my posts above and Michael H’s above). It’s not free but it isn’t through the roof either. I am going to go buy some lottery tickets! Seriously, though, I think people are underestimating the trouble MI can cause here. No, they’ll never win SOV access to the outside HOV lanes, that ship has sailed. But closing the major vehicle egress ramp from the island to SOVs? Regardless of what you think of the merits of it, that’s clearly a major impact to traffic. It isn’t mentioned or studied in the EIS at all. Hello, supplemental EIS! It won’t force the changes MI wants, but the delay and cost it would cause is pretty good leverage for the city. But I don’t think deferring Mercer Island Station indefinitely will require an EIS. Only changes to the status quo can require an EIS. It wouldn’t necessarily require an EIS, but the East Link alignment, including the stations, has already been essentially set in stone when the FTA issued a record of decision, and provided funding for East Link. Deleting a station now would be…problematic. The bigger issue is that the East Link project itself isn’t really the issue – it’s WSDOT’s Two-Way I-90 HOV operations project that’s causing the dispute. It’s a necessary precondition to East Link, but a totally separate project (albeit one funded by ST). If MI prevails, it’ll be the project that goes on ice while the EIS is redone. Which holds up East Link without directly involving it. So I don’t think even deleting the station solves the problem here. Yep. I think the city knows this. I think ST knows this. It is simply a matter of how long each side wants to play chicken. But the pressure is on ST. Folks in Mercer Island are mad (possibly both meanings of the word) and are willing to “lawyer up”, even if it means — gasp — the ball fields don’t get watered this summer. They are willing to drag this out, even if it means they lose, knowing full well that ST loses a lot more in the process. I think it is quite likely that M. I. gets a bunch of money out of this whole thing (tens of millions) or a new ramp (to the general purpose lane). My guess is the former. At the end of the day, would you rather spend 60 million on a new ramp, or 50 million on lots of new sidewalks, traffic lights, and that sort of thing. All of this could have been avoided if ST had a better planning department, but we could say that about plenty of projects. At the end of the day we are only talking 50 million or so — nothing compared to trying to retrofit a First Hill stop, etc., etc. Hey Zach, any word from ST on if this will delay East Link if MI delays permits due to this dispute? My guess is no, given there is so much work to be done elsewhere on the line, but is it something to monitor? If MI causes delays, can ST sue MI to pay for the cost of the delays due to tortious interference? Because MI should pay for delays caused by frivolous lawsuits and frivolous refusals to issue permits. Mercer Island government should pay through the nose for their meritless lawsuits. Let’s remove the i-90 bridge completely and see what they say when they can’t get off the island! No other city has demanded this much SOV accommodation and this little transit priority. Bellevue’s demands were mild in comparison. Can Executive Orders extend to HOV ramps? I’m sure Trump has some homies on the island. Maybe that can get us some high speed rail in this region. Can’t the MI Republicans who make big national donations just simply call up Transportation Secretary Elaine Chao and get an FHWA exemption? Laws obviously don’t seem to matter to the Trump Administration anyway and her husband could even put in some Amendment into a Senate bill to allow it. WSDOT seems to be pointing the rule challenge is FHWA and not them. If ramp access is so important, that’s a much easier, cheaper and faster solution than a lawsuit that MI may easily lose after spending lots of money and creating lots of delays. Not sure whether number of comments here is good or bad thing. Could be hard to find a sympathetic jury in relevant jurisdiction. But maybe by commenting here, we’ll never get on the jury. Will it matter? When the first thing WSDOT/ST do is to get the case moved to federal court, since Mercer Island is seeking a ruling on a federal law? Incidentally, 600 K will buy a lot of extra Route 550 hours. Also express boats for duration of project. Might be worth our while to match. A variation on the HOT lanes: Could MI pay for monthly toll passes for all residents who request one? Interesting idea. Napkin math, here: 26,000 people live on Mercer Island. So, 10,000 drivers or so. Monthly HOT pass? At $100, that works out to a nice round million. A million dollars a month and you are talking 12 million a year. Might as well build the ramp. Of course those numbers might be a bit large. Cut the number of drivers and the cost of the pass in half and you have 3 million a year. At that point paying folks is probably cheaper. But how long do you pay people? Now you are back to where we started. Once people assume have something, they assume they will always have it. If, say, thirty years after they build out ST3, Sound Transit kills the section from Federal Way to Tacoma (not enough riders to justify maintenance) don’t you think people will scream bloody murder? Of course they will. So, in this case, if you promise people a benefit — and the number of people who use it grows (quite possible in this case) — you are on the hook for a huge amount of money. Again, a ramp starts looking cheaper. At the end of the day it really is no different than what they are asking for. If ST tomorrow decides to settle and gives Mercer Island $50 million, and the ramps are HOT, then Mercer Island could just turn around and give out HOT coupons to every resident (until supplies last). But they probably won’t. With that kind of money, they would probably spend it on sidewalks, traffic lights, etc. Further variations are (1) limit the free toll passes to low-income residents. That should nearly wipe out the cost. Sound Transit’s statement with a good rundown of the history of the project and the understandings that have been reached in different years. I read that as ST is not interested in mitigating MI’s congestion issues when the on-ramp closes but LRT hasn’t yet opened. That makes a big difference – if the study assumes an operating light rail station, the theoretical traffic issues for MI is much less than what they will feel before the station opens. Interesting point, but I doubt that is the real issue. If it was, then Brent’s idea (stated above) would make a lot of sense. Just make the lanes HOT, but grant Mercer Island residents a temporary voucher system allowing them unlimited use (or at least discounted use) for a very brief period. That might be challenged by the feds, but in this environment, I doubt it. But my guess is that the problem is more long term. Folks are used to driving off the island, and despite the new rail, many expect to in the future. It is bad enough that they are losing their sacred HOV rights, but now Island Crest Way no longer just flows into the freeway (unless — ugh — you are a carpool). OK, to be fair, I’m sure what a lot of people are worried about is the same thing a lot of people here are worried about — traffic flowing in a different way. Again, the Seattle Times article was more clear. It is also why the lawsuit will likely (if it goes that far) result in a supplemental EIS. Traffic will be diverted to different streets, and they never studied what happens when that occurs. More cars on streets without sidewalks might (and I mean might) mean more accidents. So it really is the inconvenience (for some) of having to drive out of their way, along with the extra traffic that is the issue (not the temporary problem) that is driving this. At least, that is my guess. Weirdly, the 2006 WSDOT commitment (caveated and probably not binding as it is) is that Mercer Island should have SOV access to the outside HOV lanes until they are converted to HOT lanes. After that, all privileged access for Islanders ends anyway. But that points to a solution, doesn’t it? Mercer relents on its litigation now, in exchange for some concession later? Drop the lawsuit, make the bus terminus work, accept HOT lanes with discounted access. Or even free access for some defined time period. Throw in some SOV access improvements if WSDOT is so minded. It’s not an equitable solution – in an equitable world, the wealthiest non-tiny city in the state gets nothing. But if it moves the ball forward, why not? Based on Brent’s citation above, ST supported MI with their desire to retain access for their SOVs to the HOV lanes but it was the Feds who shot that down. The MI government’s decision to sue an agency that supported them, and by extension all of us (particularly Eastsiders who may well see yet another litigation-provoked delay in getting their service), is therefore nothing more than extortion. I’ve appreciated the MI residents who have posted here and helped us to understand some of the specific issues involved with this (I live in a similar area on the west side, and my neighborhood’s attitude in general is frequently enraging as well), but hopefully they can understand the anger of the rest of us when it’s apparent that their city is going after all of us in an extortionate fashion just because they can–and probably at the behest of those who don’t want trains and “those people”–instead of the agency (Fed Highway Admin) who made the actual decision. Several people in the comments above proposed pushing the westbound HOV lane south behind the left-side general purpose entrance from Island Crest Way. This would not work; while the following is technically hearsay, it comes from the mouths of ST engineering staff. When considering converting the current 77th Ave SE reversible ramp (currently connected to the Center Roadway) into a westbound HOV direct access ramp (to the new R8A westbound HOV lane), engineers determined there is insufficient space (horizontally) to create a safe merge. This is due to the placement of the bridge support for the 76th Ave SE overpass and the abutment for the Mercer Island Lid (tunnel); the S-maneuver to move from the south (left) side of the bridge support to the north (right) side of the tunnel abutment would only be safe at ~25-30 mph, which simply doesn’t work for a high-speed freeway; it would be immediately unsafe, and is contrary to interstate highway design standards. It is logical to then expect that if a merging maneuver in that space (between 76th Ave SE and the tunnel portal) is unsafe, a non-merging maneuver would also be unsafe. While you’d be removing the merging/sight distance issues, you’d be retaining the geometrical issues and related safety problems. Can we sue the City of Mercer Island for the environmental impact delaying East Link would cost? Please don’t use our park and ride.